Nappies and naps are two things in my household that don’t often make sense. Neither is particularly orderly, and both can be messy. Which is why I love that the cot and change table in the new Vox Baby Spot range are exactly what nappies and naps are not: clean and clever. Like the other great bedroom solutions from Polish based Vox Furniture, the Baby Spot collection is lovely to look at and designed for functionality. 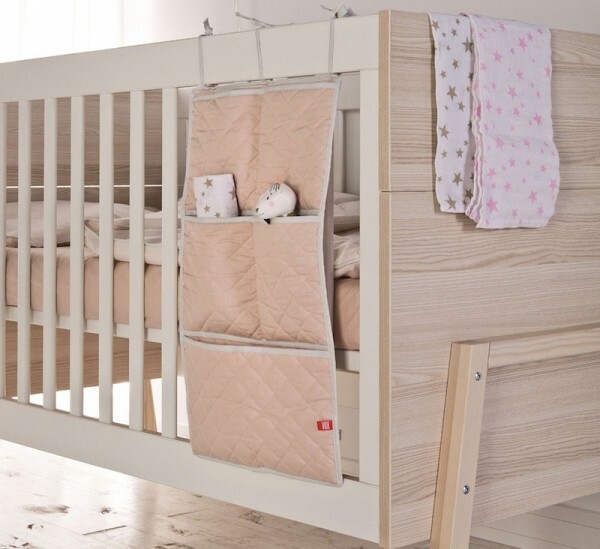 It offers excellent storage solutions for the newborn stage, and can be adapted as your kids grow. The change table is my personal favourite piece – two drawers provide ample storage for your nappy changing needs and an overhanging rail is the perfect spot to hang spare clothes. When you no longer need to change nappies (hooray! ), you can remove a drawer to convert the table to a desk. With an acacia frame and clean white lines, the Spot cot is easy on the eyes. Plus, it converts to a toddler bed without losing any of its appeal – rather than looking like a cot without bars it also makes sense as a bed. A double door wardrobe rounds out the Vox Baby Spot collection. 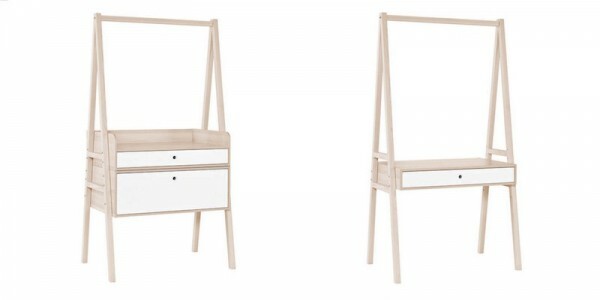 Again in acacia and white, the wardrobe would make a great addition to any room. Sadly Vox furniture is still not available locally, but as they grow we can continue to hope they expand to Australia!